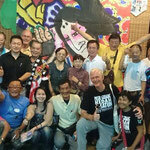 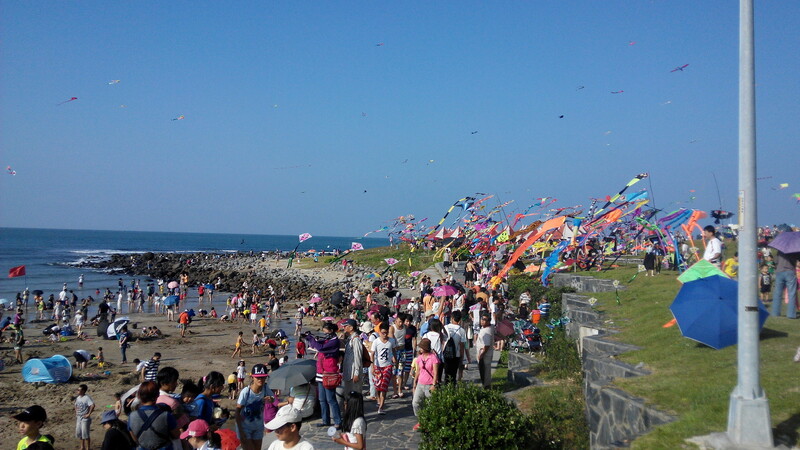 After 9 years of absence at kitefestivals in Taiwan, Volker went again to Taiwan for the Taipei New City North Coast Kitefestival. 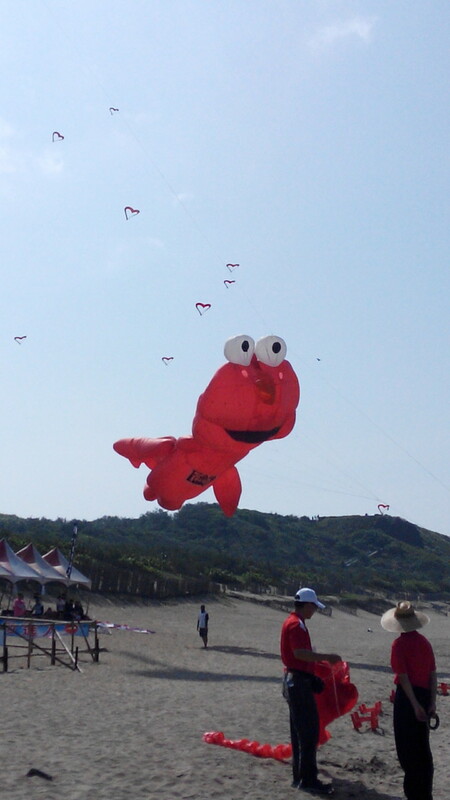 With Elmo, Heart-Kites, Icecream and Spongebob in the bag, he could not fly those immeaditely. 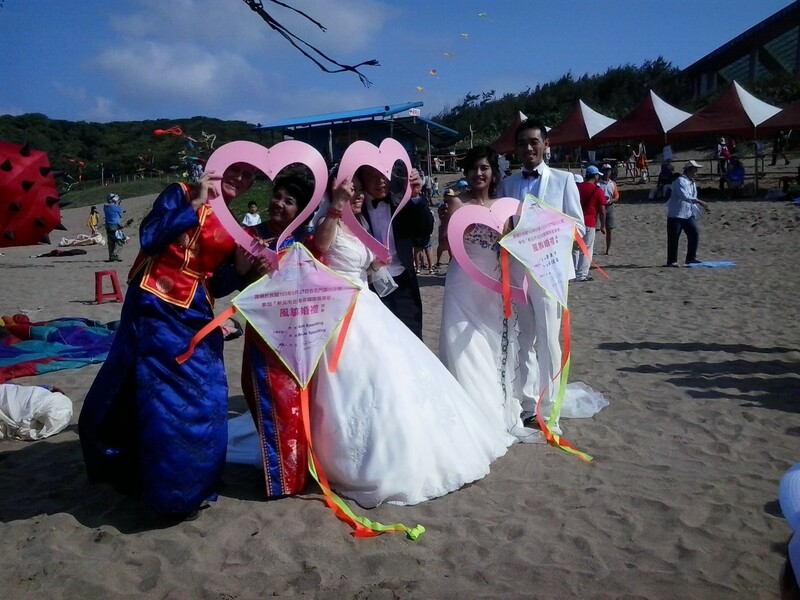 The event had to be changed during the 1st weekend. 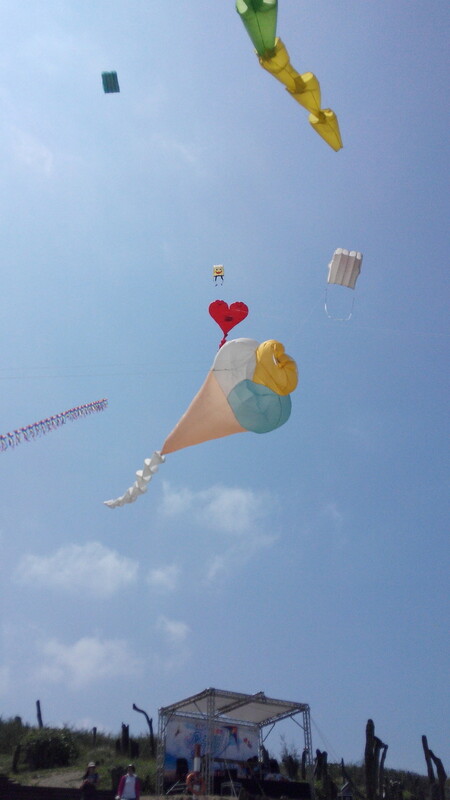 The reason was Typhoon Phoenix, in cooperation with public safety measures. 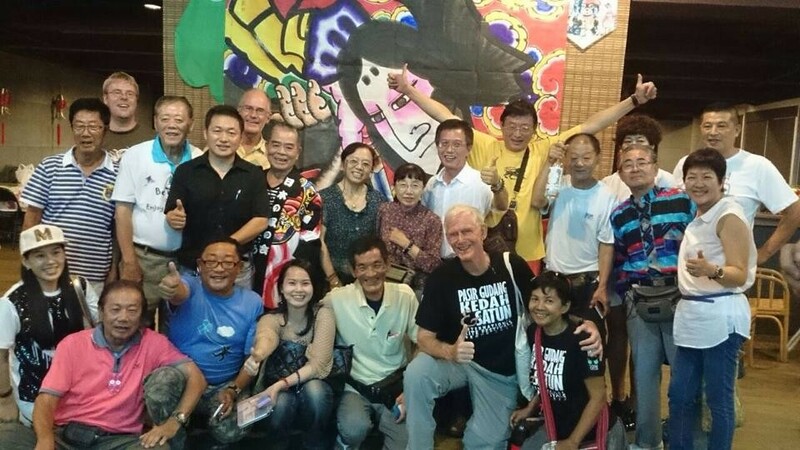 No public events during typhoon. 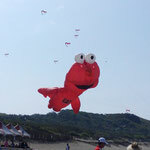 Although I flew kites in worse circumstances (Berck sur Mer, Fanö, Scheveningen...) the kites were unpacked only for the presse flying and of course for the 2nd weekend. 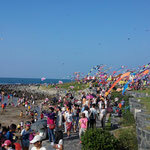 During the 2nd weekend, the conditions were perfect with sunshine, steady wind and a big crowd of spectators. 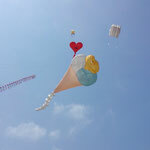 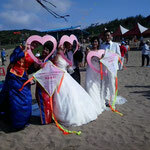 The kite wedding drew a lot of audience, as the lolly pop drop and the stunt kite shows gave a nice ambience to the spectators. 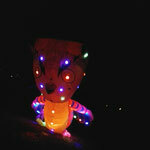 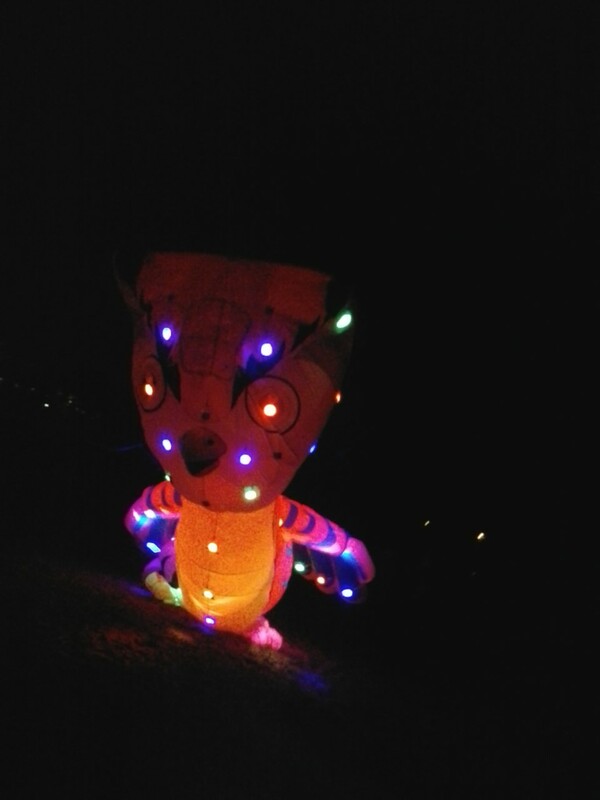 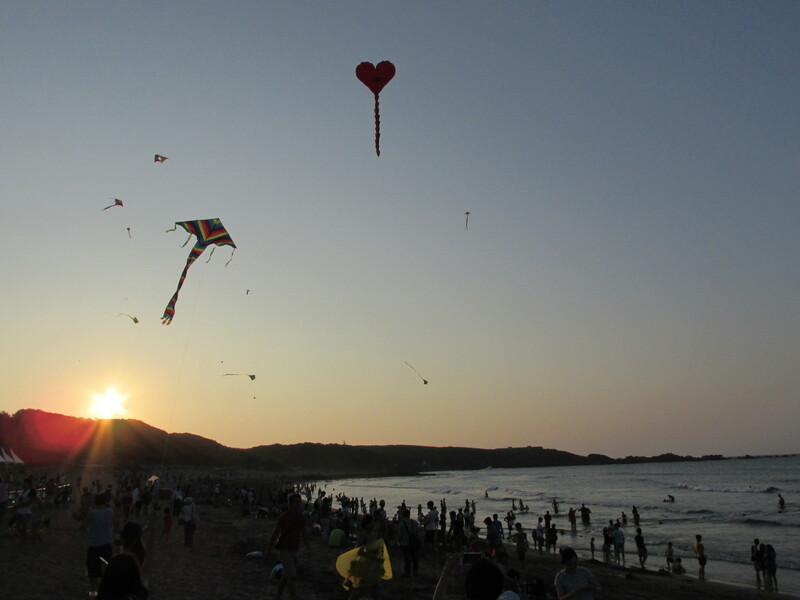 And during the evening, many people gathered for the night flight with illuminated kites. 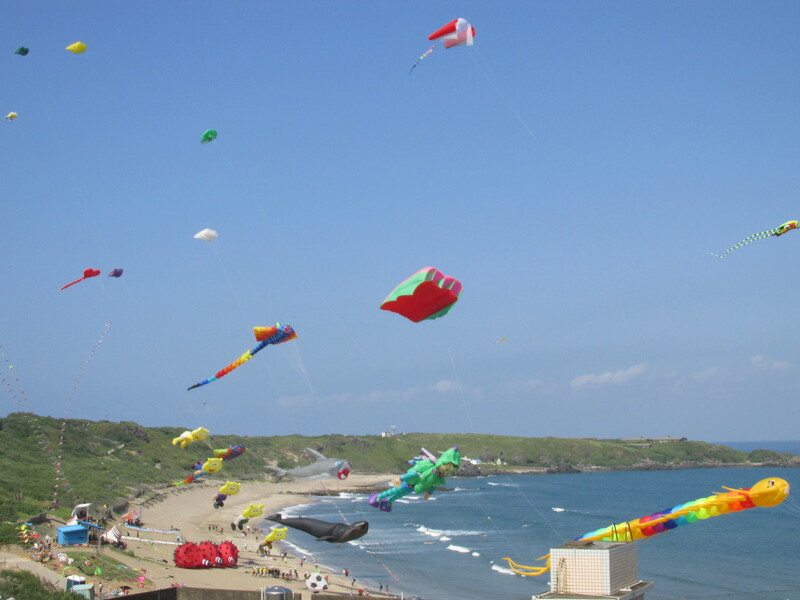 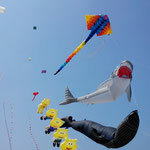 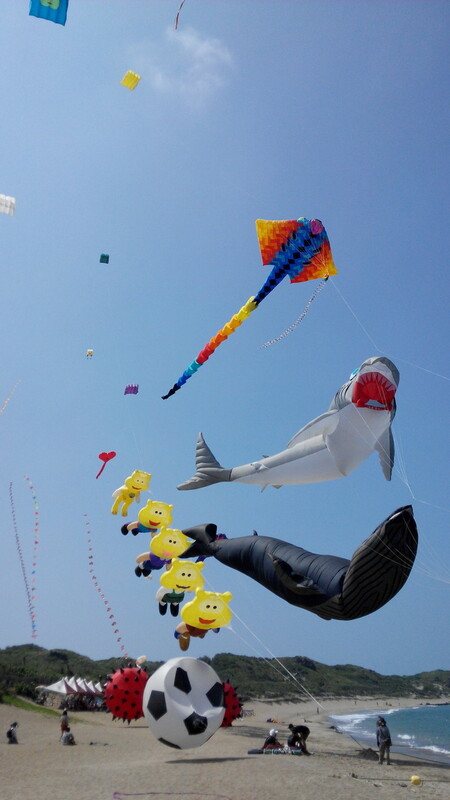 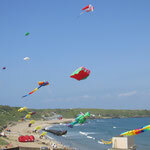 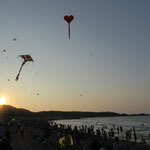 BaiShaWan is a great venue for kite festivals, as good wind, a nice beach and the near Taipei city allows many kites in the air and many spectators on the ground.